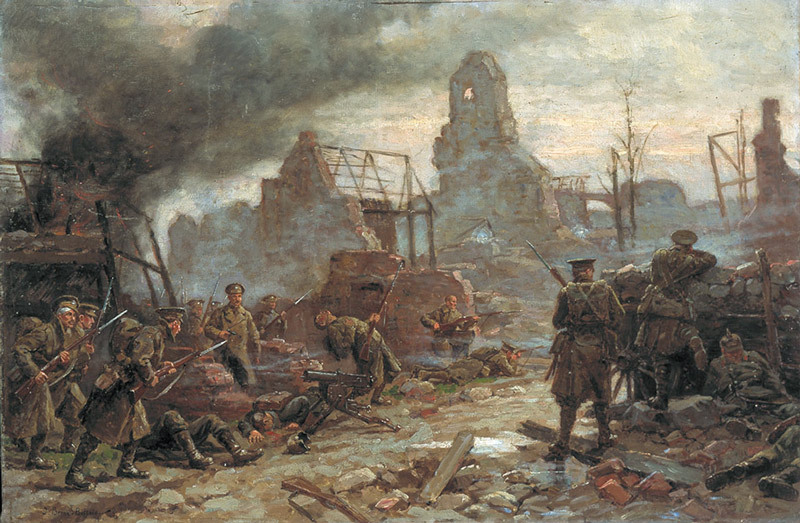 A recently discovered poem by Company Sergeant Major Jack Gray of 2nd Battalion The Princess Charlotte of Wales’s (Royal Berkshire Regiment) brings to life the bloody struggle at Neuve Chapelle in March 1915. During the first months of the war the Germans had captured large parts of northern France and Belgium. They built defences in order to hold this ground, hoping to bargain with it when peace came. As a result their trenches were substantial from the start. 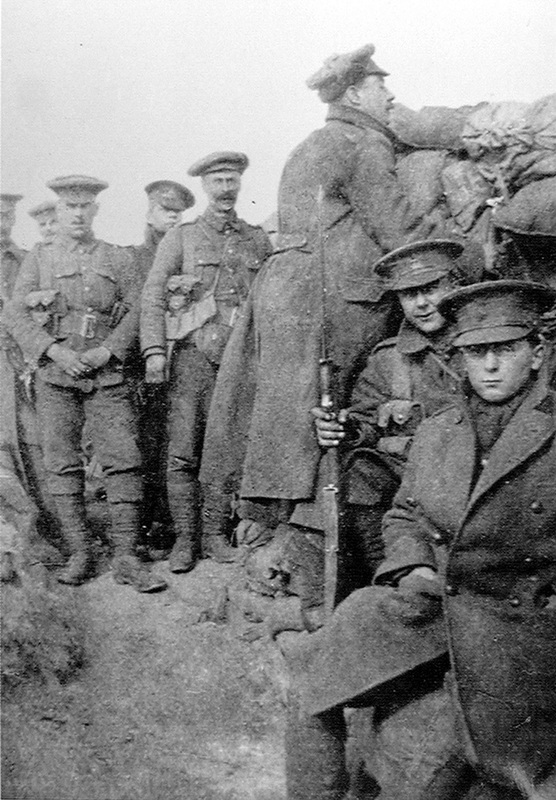 The British and French always viewed trenches as temporary measures. Digging in deep risked sapping morale. Trenches would only be needed until the next ‘Big Push’, the attack that would bring the return of mobile warfare and eventual liberation. 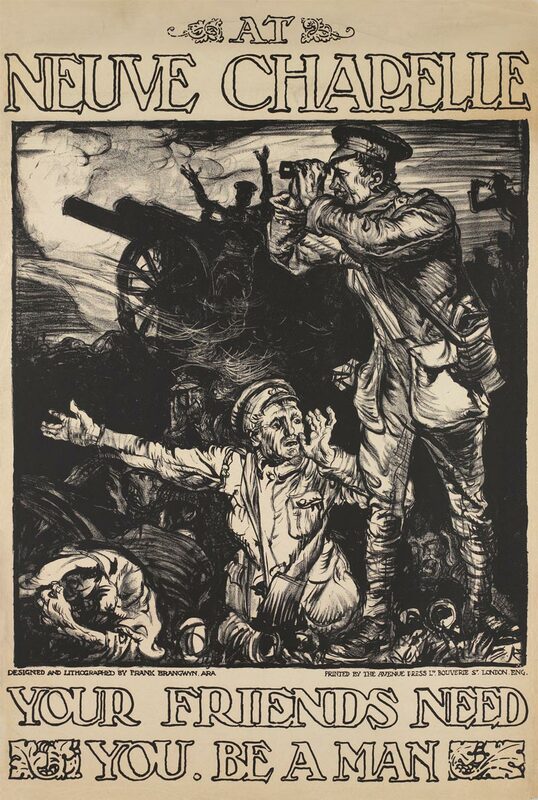 The first major British offensive of the war occurred on 10 March 1915 when they attacked the salient around the village of Neuve Chapelle, located midway between Bethune and Lille. The assault was undertaken by General Sir Douglas Haig’s First Army, with Lieutenant-General Sir Henry Rawlinson’s IV Corps on the left and General Sir James Willcock’s Indian Corps on the right. Unfortunately, there were delays in sending further orders and getting reinforcements forward. The initial gains were not exploited and a German counter-attack prevented further progress. 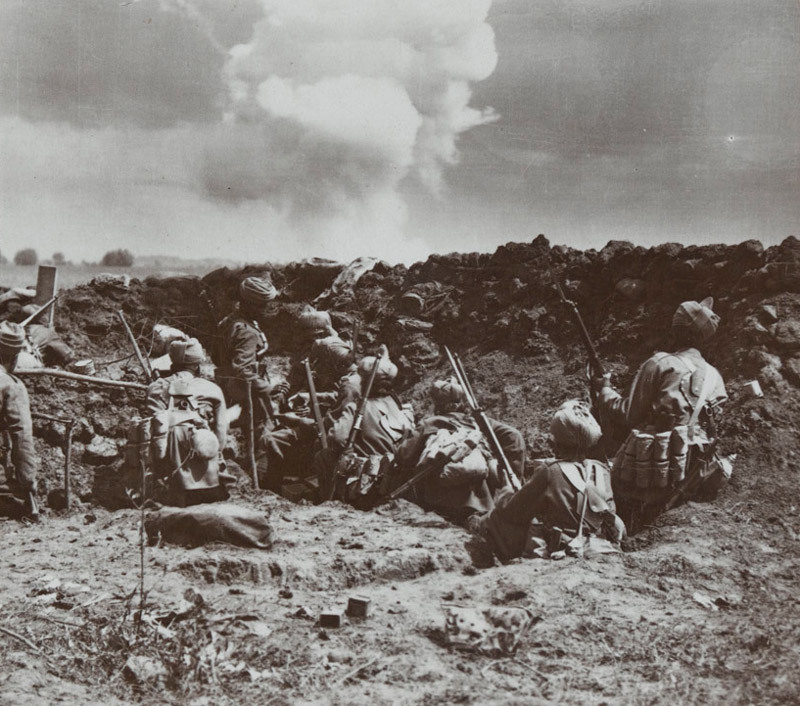 After three days’ fighting, the British had gained a small area of land at a cost of over 7,000 British and 4,000 Indian casualties. The offensive demonstrated that although it was possible to break into the German positions, it was not so easy to convert this kind of local success into a major breakthrough. It also showed that a heavier artillery bombardment and better communication were needed. Indeed, after the battle, the British Commander-in-Chief, Field Marshal Sir John French, claimed the attack had failed due to a lack of shells. This led to the ‘Shell Crisis’ of 1915 and the collapse of Herbert Asquith’s Liberal Government. A new coalition government was formed with Lloyd George as Minister of Munitions. The creation of this new post was a recognition that the whole economy would have to be geared for total war if the Allies were to prevail on the Western Front. 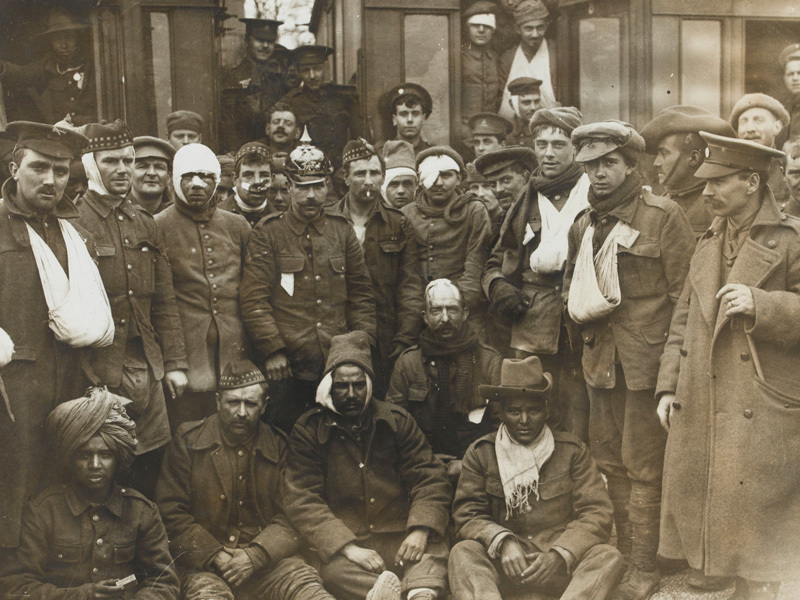 One of the men who survived the fighting was Company Sergeant Major Jack Gray of 2nd Battalion The Princess Charlotte of Wales’s (Royal Berkshire Regiment). 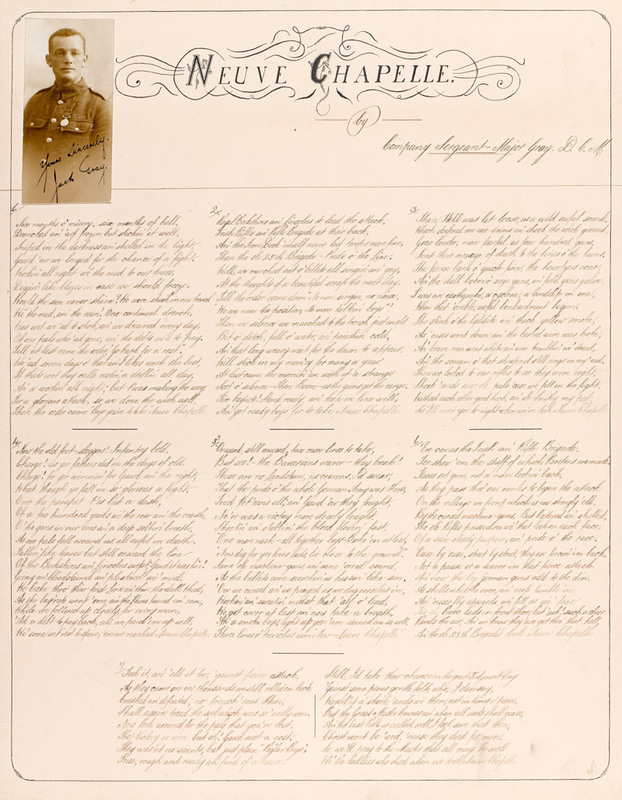 The battle clearly left a mark on Gray, who wrote a poem entitled ‘Neuve Chapelle’. Although officer poets like Siegfried Sassoon, Wilfred Owen and Robert Graves are rightly celebrated, other ranks like Gray (who often lacked the formal education of their officer counterparts) also produced intriguing work, much of it unpublished. Gawd ‘ow we longed for the chance of a fight. Diggin like blazes in case we should freeze. Of pals who ‘ad gone, an’ the debts we’d to pay. Till at last came the order ‘go back for a rest’. Then the order came ‘Boys you’ve to take Neuve Chapelle’. Than the ole 25th Brigade – pride o’ the Line. At the thoughts of a beautiful scrap the next day. We are near the position, no more talkin’ boys’! Will stick in my mem’ry for many a year. Sort o’ silence – then boom – as the guns got the range. An’ get ready boys for to take Neuve Chapelle. Sent their message of death to the lines o’ the Huns. An’ the dull boom o’ siege guns, an’ field guns galore. When that ‘orrible, awful bombardment begun. An’ the scream o’ that shrapnel still rings in my ‘ead. Ses ‘I’ll meet yer tonight when we’ve took Neuve Chapelle. Charge! As yer fathers did in the days of old. What though ye fall in so glorious a fight. As our pals fall around us all awful in death. Of the Berkshires an’ Lincolns swept; Gawd it was fine! Wi’ some int’rest to spare, ere we reached Neuve Chapelle. But see! – the Bavarians waver – they break! Ne’er was a victory more dearly bought. ‘One more rush – all together boys – Broke ‘em at last. Now dig fer yer lives lads, lie close to the ground’. As the bullets come searchin’ us hissin’ like sin. Ter show ‘em the stuff of which Britons are made. Of sure steady purpose, an’ pride o’ the race. Not a pause or a waver in that fierce attack. As shells whistle over, an’ roofs tumble in. An the ole 25th Brigade’s took Neuve Chapelle. Shall again tread the soil which was so ‘ardly won. The Victory is won, but oh! Gawd wot a cost. True, rough and ready an’ fond of a noise. Wouldn’t a’ shook ‘ands wi’ them, not in times o’ peace. Christ won’t be ‘ard, ‘cause they died fer men. Wi’ the laddies who died when we took Neuve Chapelle. John Arthur Gray (1885-1917) was the son of Frederick and Eliza Gray of 49 (later 68) Green Street, High Wycombe. Known as ‘Jack’, he was the eldest of five children and had two brothers and sisters. Gray enlisted at Reading in 1905 with 1st Battalion The Royal Berkshire Regiment and gave his occupation as ‘wool sorter’. He served with his unit in Britain and Ireland before transferring to the 2nd Battalion with whom he served in India. In August 1914 Gray’s battalion left Jhansi in India and arrived back in England in late October. It soon joined 25th Brigade of 8th Division. This formation consisted of Regular Army units that had been stationed around the British Empire. It landed at Le Havre in France on 5 November 1914, a much-needed reinforcement for the hard-pressed British Expeditionary Force (BEF). Gray was soon promoted to company sergeant major. Gray continued to serve on the Western Front, fighting at Ovillers on the Somme where his battalion was badly mauled in July 1916. He was commissioned as a second lieutenant in November 1916 for service in the field. Gray was killed in action assaulting a section of the Hindenburg Line near Bapaume on 4 March 1917, aged 31. His effects were sent on to his family at 3 Remington Terrace, High Wycombe. His remains were interred at Sailly-Saillisel British Cemetery on the Somme. He is also commemorated on a plaque at the entrance to Wycombe Hospital.